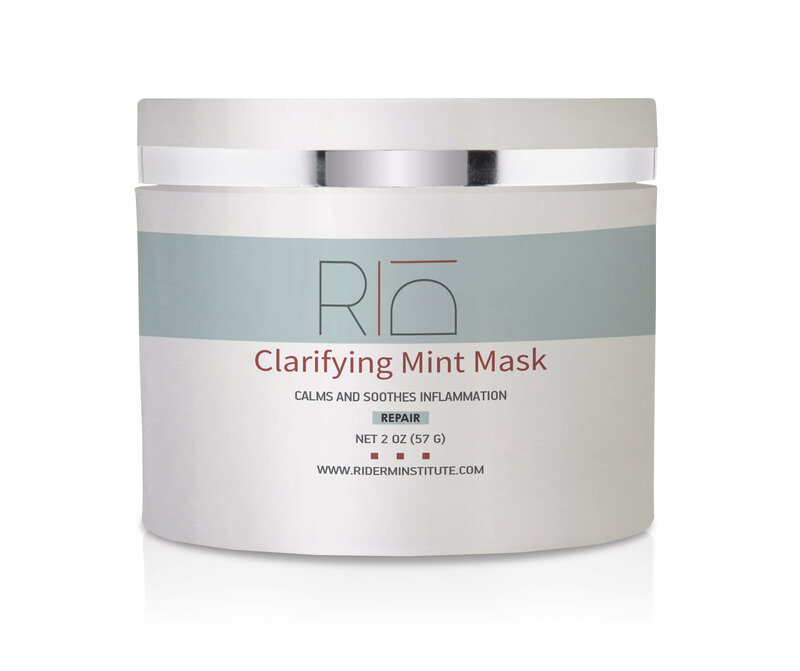 Clarifying Mint Mask is specially formulated to draw sebum, pollutants, impurities, and bacteria out of skin. It features an array of powerful yet gentle key ingredients that calm redness, smooth the look of wrinkles, fight blemishes, and deeply hydrate. Clarifying Mint Mask is great for all skin types, especially acne-prone skin, as it reduces the appearance of pores, minimizes blackheads and blemishes, and enhances overall clarity for a refreshed complexion. Directions for use: Apply to clean skin and leave on for 20 minutes. Rinse with warm water. Can be used two to three times a week or as directed by physician.